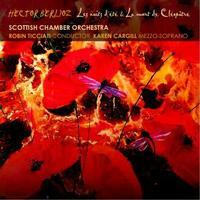 Robin Ticciati cements his reputation as an outstanding Berliozian with his latest recording, Berlioz: Les nuits d'été, which includes excerpts from Roméo & Juliette and La mort de Cléopâtre. The SACD layer is both 5.1 channel and 2-channel. The Studio Master files are 192kHz / 24 bit. This Hybrid Multichannel SACD plays in all SACD and CD players.